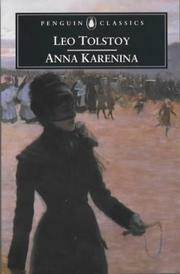 When I think about the benefits of reading fiction, I often think about my experience of reading Anna Karenina when I was in my late teens. I was falling in love with paperback Penguin classics for the first time (though I refused to read the 'introductions', the aim of which seemed to be to spoil both independent discovery and simple enjoyment of the novel). I'd grown up with thousands - yes, thousands - of textured, earthy-toned, loamy-smelling books from the 1800s. But novelty is often given undue importance at age 17. In my case, a fresh, creamy-paged paperback with a venerable penguin on the spine was a strong incentive to read books I probably wouldn't have otherwise tried. Now, I have very little interest in or time for adultery narratives, which is what I think Tolstoy's Anna Karenina is filed under in a lot of minds. I cannot imagine ever reading Madame Bovary. Flaubert's work is less interesting to me than the stove manual my husband read to me two nights ago (and let me tell you, I don't do manuals - there's a reason he had to read it to me). Brideshead Revisited wouldn't have been on my horizon until a very trusted friend convinced me to read it (and she was right to do so...but more on that some other day). Now, the thing I want to say is not that Anna K is a great book/Great Book (Kitty! Levin! Karenin! Oh, there's so much to this book! ), but that it served more than what one might call a purely 'literary' purpose in my moral formation, if you will. And this, I believe, is one of the best features of great literature - that through it, we can gain wisdom. We can learn from other people's mistakes. Even fictional people in 19th century Russia. And let me tell you, this is a book in which the characters make a lot of mistakes. Some of the consequences you see coming - charging towards the characters like the novel's infamous steam train - some of them you don't. Some of the characters are redeemed when you have lost hope for them, others cling stubbornly to their foolish, pointless, uglifying choices just when you expect the reverse. So this is just one reason why I won't be seeing the new film adaptation of Anna K coming out this year. This story should never shoe-horned into a stylised melodrama with doll-house sets. Anna should not be gilded over into Keira Knightley's passionate-but-doomed-by-society-proto-feminist in asymmetrical Klimt couture. What are viewers of Joe Wright's film going to learn? All the things they already 'knew' about those judgemental people in the bad old days, I'm guessing -- nasty old biddies peering through their opera-glasses at poor Anna! When we succumb unquestioningly to what C.S. Lewis called 'chronological snobbery', we lose so much of our heritage - both of wisdom and folly - as God's fallen image-bearers. I will make my words known to you." I admit to having read "Madame Bovary", a long while ago, and getting much the same impression of adultery as you did from "Anna Karenina". Except that AK has always sounded more hopeful for redemption; MB was just plain depressing. Very interesting review. I must admit that I avoided AKit because of the adultery, but you had a good perspective. Schuyler, if ever I am forced to sit through that P&P again, I'll try pinching my nose and see if anything improves! Guarding my thought-life was a big consideration for me in my reading choices as a single person, and I've always looked back at AK as a model for how to treat sexual sin in fiction. Oh, Christina, I actually started reading AK once, and never finished it--not because it wasn't fast-paced but because I got distracted. I've always intended to try again! Your thoughts on Brideshead Revisited would be most appreciated as well, whenever you can manage it ;).